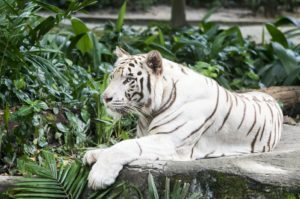 The Planet's Leading Resort Wildlife Team© Specializing in White Tigers & White Lions AND a Shopping Experience Where the Crown Jewels of Nature Meets Fashion! We Love Meyenberg Goat Milk!!! 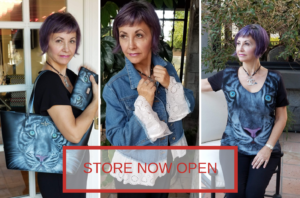 Choose from a variety of items including purses, jackets, and fine accessories, all with hand painted images by award winning artist, Tim Scoggins! 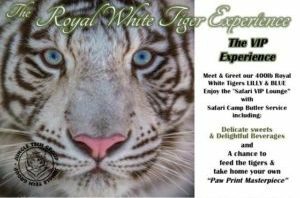 Meet & greet our 400lb Royal White Tigers LILLY & BLUE. Enjoy the "Safari VIP Lounge" with Safari Camp Butler Service. An exotic oasis hidden in the mystical setting of Wine Country and creating the perfect backdrop for a wild escape. We are the creative experts behind the wildlife scenes from your favorite motion pictures and live performances. 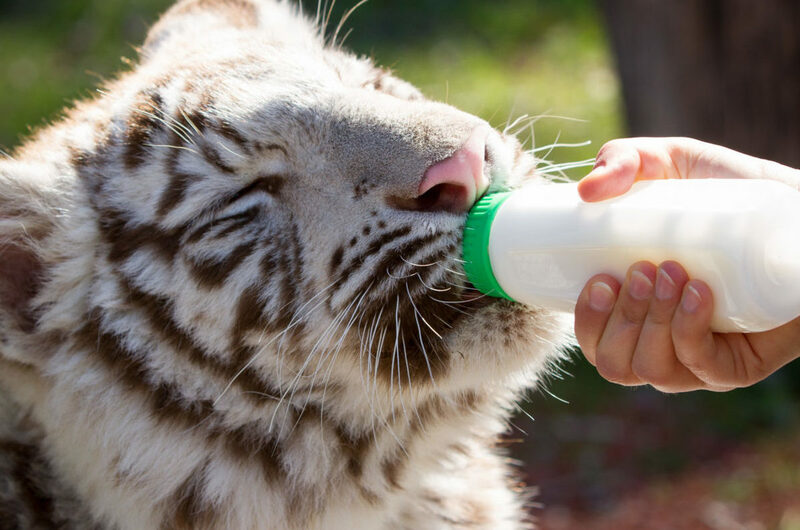 Our team was instrumental in bringing you many of the world's best zoological habitats. The Jungle Tech Group signature habitats allow you to share an intimate and safe experience with the most precious jewels of nature. "Everything in nature contains all the power of nature. Everything is made of one hidden stuff"